GENI (Global Environment for Network Innovations) [www.geni.net] provides a virtual laboratory for networking and distributed systems research and education. It is well suited for exploring networks at scale, thereby promoting innovations in network science, security, services and applications. GENI is sponsored by the US National Science Foundation and is free to use for research and education. GENI is being used by over 3200 researchers and educators. GENI gives experiments access to hundreds of widely distributed resources including compute resources such as virtual machines and “bare-machines”, and network resources such as Layer 2 links, programmable switches and WiMax base stations. These resources are being used for research and instruction in areas such as computer networking, cloud computing, software defined networking and future Internet architectures. This talk will include an overview of GENI and GENI security mechanisms. It will also advocate for the use of testbeds such as GENI as a remote laboratory in computer science classes. Dr. Vicraj (Vic) Thomas is a Scientific Directory at BBN Technologies. He leads the Experimenter Support and Advocacy group within the GENI Project Office. The GENI Project Office provides the NSF with program management and systems engineering support in the design and development of GENI. 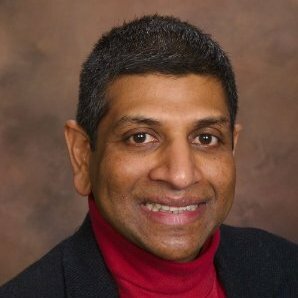 Dr. Thomas’ research interests include dependable systems and systems security. On the GENI project, Dr. Thomas was one of the systems engineers that developed a security plan for GENI. In the past he was a co-PI on an intrusion detector correlation project funded by the DARPA CyberPanel program and the PI of a project on the DARPA Cougaar program that developed intrusion detection agents. Abstract: The talk will focus on leveraging advanced coding techniques for improving reliability and robustness of communication networks and data storage systems. We will discuss methods and tools for constructing coding schemes that: (i) ensure resilience to and provide instantaneous recovery from failures of network links and nodes; (ii) protect transmitted and stored data against eavesdroppers; (iii) mitigate an active adversary that can modify the packets transmitted over the network. The talk will cover a wide range of topics from the mathematical foundations to practical applications. In particular we will focus on using network coding techniques for protecting wired and wireless networks and regenerating codes for facilitating efficient recovery from link failures. Our goal is to expose the richness of coding applications for improving network reliability. We will discuss the outcomes of the intensive research efforts as well as new insights that have been gained over recent years. We will also discuss open problems and present new exciting opportunities for research and application development. Bio: Dr. Sprintson is an Associate Professor in the Department of Electrical and Computer Engineering, Texas A&M University, College Station. From 2003 to 2005, he was a Postdoctoral Research Fellow at the California Institute of Technology, Pasadena. His research interests lie in the general area of communication networks with a focus on network coding and software defined networks. Dr. Sprintson received the Wolf Award for Distinguished Ph.D.students, the Viterbi Postdoctoral Fellowship, and the NSF CAREER award. 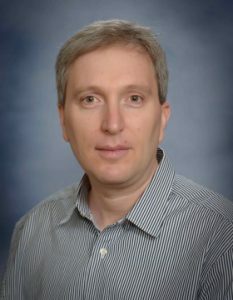 Currently, he serves as an associate editor of the IEEE Transactions on Wireless Communications. He has been a member of the Technical Program Committee for the IEEE Infocom 2006–2016.